In 2010, Drury University, Springfield, Missouri, hosted what many of its participants imagined to be the first conference bringing together theologians, philosophers and church practitioners to explore postmodern philosophy, radical theology, and church practice. Many ‘emerging’ and ‘progressive’ Christian events often try to engage with contemporary academic theory but often fail to do so in a sustained or rigorous manner and philosophers of religion, in particular, have been accused of disregarding lived religion in favour of abstract thought. “Subverting the Norm: The Emerging Church, Postmodernism and the Future of Christianity” (Oct 2010) tried to provide space for a genuine dialogue between scholars and church practitioners. Many participants, myself included, felt that this was such an important endeavour that we asked its principal organiser, Phil Snider, to turn this one-off event into a conference series. In April, Drury will host the second Subverting the Norm conference, “Can Postmodern Theology Live in the Churches?” This event will feature keynote talks from Derridean philosopher and deconstructive theologian John D. Caputo and emerging church practitioners and authors Peter Rollins and Kester Brewin, as well as from many others. A recent Call for Papers generated a huge amount of interest and we now have a very packed schedule, which you can download here. 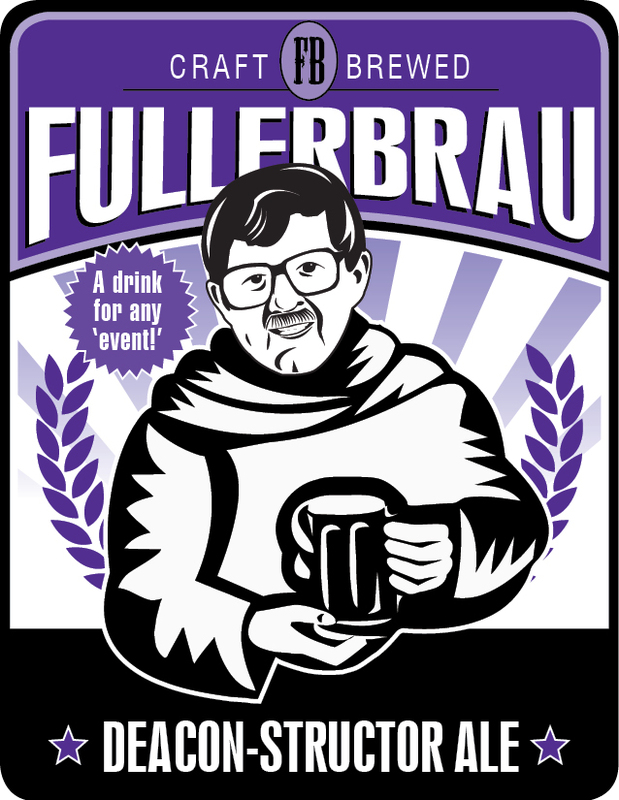 Plus, Homebrewed Christianity will be launching their John D. Caputo Deacon-structor French Ale. “Postmodernism and Religion”, Derrida says; “two things that are strange to me”. And yet his work has been seen as part of the “theological turn” in so-called “postmodern philosophy”, which has surprisingly become the most formative school of thought shaping the future of twenty-first-century theology. While many contemporary philosophers continue to turn to the Christian tradition – often interpreting it in radical, even irreligious, ways – do they ever wonder, with Derrida, how their atheism gets on in so many of the churches? The political “turn to Paul”, for example, has furnished a variety of philosophers with the means to re-think concepts such as faith, reason, truth, universality and subjectivity. But, while these secular interpretations of Paul’s letters have enabled on-going discussions between philosophers, theologians and biblical scholars, the “Subverting the Norm” conference series specifically attends to the relationships between all these philosophical turns and lived religion, particularly within what might be called the “actually existing” churches. It examines how continental philosophy both inspires radical theologies within the academy and energizes everyday religious discourse and practice. Can the actually existing churches speak meaningfully to those who aren’t so sure about the supernatural or magical or the metaphysical, which include the fastest growing demographic in North America, the “nones”, those with no formal religious affiliation? Can the church retain a viable role in a world where God is often viewed as a relic of the past, or as a grand Santa Claus in the sky, or perhaps even as a narcotic or neurosis that we’d do well to get rid of? And if the churches are to be faithful to the revolutionary event that gave birth to Christianity, or if they are to recover their theological voice in a compelling and transformative way, is it possible to do so by listening to voices on the margins of the church, or outside of the church, including even those who might “rightly pass for atheists?” Perhaps more to the point, why are voices on the fringes of the church, or outside of the church, becoming more influential on church leaders and practitioners than the traditionally “orthodox” voices inside the churches? What happens when churches become open not only to postmodern forms of culture, but to postmodern approaches to theology? In other words, is it possible for churches to not settle for what Jack Caputo calls “an abridged version of postmodernism” that only takes into account postmodern culture, but not theological questions related to what comes after the God of metaphysics? In what ways are philosophy and theology impacting everyday Christian discourse and practice? What does this mean for the life of the church? What is the relationship between philosophy, theology, and community practices, including but not limited to liturgy and ritual? Is it possible for postmodern forms of theological discourse to inform pastoral leadership and church practice, even if the majority of participants within a given church aren’t familiar with such concepts in a theoretical way? More generally speaking, how do the radical edges of postmodern philosophy and theology influence the practices of the church? How can themes addressed in the postmodern turn to religion be helpful within the actually existing churches, particularly in relation to ministerial practice and church leadership? How can the actually existing churches remain faithful to the event that gave birth to Christianity? How can Christianity—especially as expressed in the teachings of conventional churches both liberal and conservative—become more than a psychological crutch? How can it resist being just a protective umbrella for a particular group identity or merely another niche in the consumer market? How might it recover its revolutionary potential, hinted at within various contemporary philosophies and theologies? And, might the church do so by listening to those on the margins of Christianity and those who “rightly pass for atheists”? This look great Katherine – the nones identified by Putnam and Edwards in their book on American Grace are a fast growing and hugely significant group – not least because they won’t vote according to evangelical Christian power blocs (e.g. on issues such as abortion and gay rights) – they could well represent the beginning of the liberalisation of US politics – real shame I can’t do! Thanks, Chris. Most of the coverage I’ve seen on the ‘nones’ in US public media seems to assume they are ‘religious nones’ – i.e. ‘religious’ or ‘spiritual’ individuals without formal affiliation to a religious institution – which is a really interesting assumption in that context. I haven’t seen the 14.1 million respondents who reported ‘no religion’ in the 2011 England & Wales Census being framed in that way by UK media. A very interesting comparison there. I’m holding out hope of being able to host the third Subverting the Norm conference in the UK at some point in the future, depending on when/where I get a FT post! I want to do an event on the relationship between philosophical interpretations of Paul and religious and political practices. Ward Blanton’s pretty interested in my work on that, and he’d be a great keynote. And we had a really good go at getting Zizek for STN2, but he was already booked, so hopefully we can get him for STN3! Final Conference Programme and Last Chance to Register! John Reader, Common Good, Community, or prophetic responses?